Garden lovers will be sure to find something to delight them in the famous gardens of the Cotswolds. You can stroll around a garden attached to an old manor house and soak up the atmosphere or admire the formality and manicured gardens elsewhere. 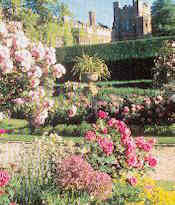 The National Trust owns the world-renowned Hidcote Manor gardens, while the nearby Kiftsgate Court garden is famous world-wide for the Kiftsgate climbing rose. Rodmarton Manor and Barnsley House gardens are both fine examples of traditional English country gardens while Westbury Court garden is the earliest formal Dutch water garden remaining in the country. There are many to explore. The gardens are open to guests of Barnsley House Hotel whether staying overnight or simply dining in the restaurant for lunch or afternoon tea. You can also have a wander round the gardens for £10.00 per person to include either tea or coffee and homemade biscuits.. 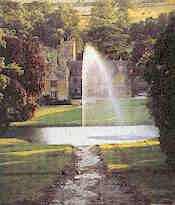 Located in the village of Barnsley, near Bibury. 55 acres of Parkland overlooking the Evenlode Valley containing over 1500 species of trees. In spring displays of flowering bulbs, wild flowers, and magnolias. Located on the outskirts of the village of Batsford near Moreton-in-Marsh Award-winning three acre garden surrounding fine 18thC House and 16thC Tithe Barn. 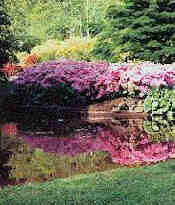 Features stunning herbaceous borders, imaginative topiary, water features and a unique shade house. The unusual, rare and exotic make this garden a plantsman's dream! 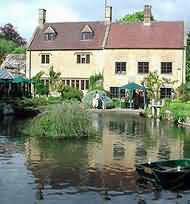 Located in the village of Bourton-on-the-Hill near Moreton-in-Marsh. Available to walk round if you dine or have afternoon tea. Open all year. Running for 200 miles from Lyme Regis on the South Coast to the Wash is an uninterrupted seam of Upper Greensand and Gault. The Rhododendron Walks are on the Western edge of this sedimentary formation. It is this soil type, coupled with the protection from the elements by mature oak and scotch pine, together with ample moisture, which provides the ideal growing conditions for rhododendrons and azaleas. 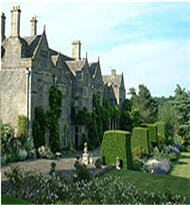 Cerney House Gardens is a romantic, secret place in the Cotswolds, near to Cheltenham, Gloucestershire. 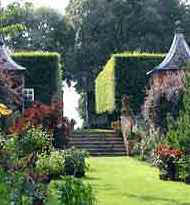 They are part of the home of Lady Angus and her family. North Cerney, not far from Cirencester. The Courts Gardens is an example of the English style at its best.The garden is full of charm and variety, There are many interesting plants and an imaginative use of colour, with surrounding topiary, ornaments and water features. An arboretum with natural planting of spring bulbs, a kitchen garden and orchard complements the garden. The garden is only 2.8 hectares or 7 acres and the way the garden seems much larger is due to the small arboretum that contains several large specimens, including the Cut-leafed Beech. rhododendrons.html Open February to July. 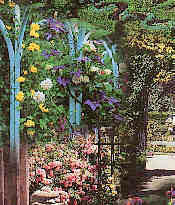 This garden is internationally renowned and is a series of smaller gardens each with its own theme. One of the most inventive and influential gardens of the 20th century. 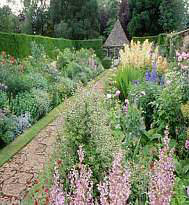 Located near the village of Hidcote Bartrim not far from Chipping Campden. Perched on the edge of the Cotswolds with wonderful views to the west, the gardens of Kiftsgate reflect gardening through the 20th century. The original gardens around the house are planted in colour themes separated by yew hedges. Located opposite to Hidcote Manor Gardens. The home of Viscount Bledisloe and is set in beautiful countryside. The spring gardens are in an enchanting secluded wooded valley with lakes and Rhododendrons, Roman temple site museum and New Zealand Museum. Located at Lydney in Gloucestershire on the edge of the Royal Forrest of Dean and the River Seven estuary. National Trust Open April to September. www.kiftsgate.co.uk Open 25 March to 3 June. 5 acres of magnificent garden located adjacent to Malmebury Abbey. 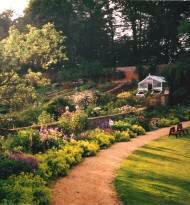 There is a huge variety of planting through double herbaceous borders, foloiage garden, wooded and laburnum walks. Along the sloping pathways collections of hellebore, hydrangea, camellia, rhodoendon and azalea. There is a collection of 2000 roses and 2000 herbal plants. See Malmesbury Abbey details. Set in 2.5 acres of Cotswold countryside this water-mill garden has been designed and planted in English country style. Steep terraces rise from the mill-pool, stream, and grotto. 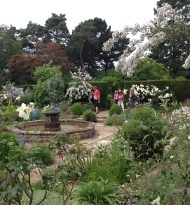 Paths wander through the rose walk and there is a potager and fantasy fruit garden. 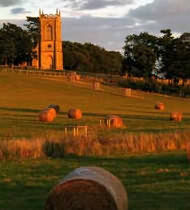 Located in the village of Blockley, near Chipping Campden. 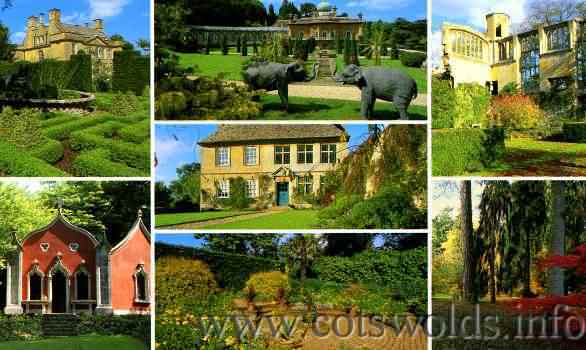 Situated in a hidden 6 acre Cotswold valley, the Rococo garden is the only compete survivor from the brief early 18th century period of English Rococo Garden design. It combines formality and informality in a magical experience at any time of the year. Located on the outskirts of the market town of Painswick. 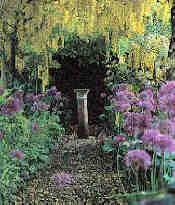 www.milldenegarden.co.uk See website for visiting details. This Grade I Italian-style garden at Iford Manor is famous for its tranquil beauty and was the home of architect and landscape gardener, Harold A. Peto from 1899 to 1933. This unique and romantic hillside garden is characterised by steps, terraces, sculpture and magnificent rural views. Prior Park Landscape Garden: was influential in defining the style of garden known as the "English garden" in continental Europe. Prior Park was created by local entrepreneur and philanthropist Ralph Allen from about 1734 until his death in 1764, with advice from both Alexander Pope and Capability Brown. In around 1742, Allen commissioned architect John Wood to build a mansion within the park, which is now owned by Prior Park College. William Warburton, Allen's son-in-law, lived there for some time. The 28 acre (113,000 m²) landscape garden is set in a dramatic site running down a small steep valley, with fine views of the city of Bath. Its many interesting features include a Palladian bridge, Gothic temple, gravel cabinet, Mrs Allen's Grotto, and three lakes plus a serpentine lake. In November 2006, a large-scale restoration project began on the cascade, serpentine lake and Gothic temple. Work is expected to be completed in spring 2007. 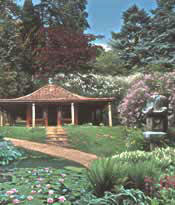 The Gardens consist of a number of different rooms each with its own character. Rodmarton Manor House was completed in 1920, the last manor-house to be built in England. Open May to September, Wednesdays, Saturdays and Bank Holiday Mondays 2pm -5pm. Rousham House and its landscape garden should be a place of pilgrimage for students of the work of William Kent (1685-1748). Rousham represents the first phase of English landscape design and remains almost as Kent left it, one of the few gardens of this date to have escaped alteration, with many features which delighted eighteenth century visitors to Rousham still in situ, such as the ponds and cascades in Venus' Vale, the Cold Bath, and seven arched Praeneste, Townsend's Building, the Temple of the Mill, and, on the skyline, a sham ruin known as the 'Eyecatcher'. This garden at Sezincote surrounds a fine house built to encompass Indian character in 1810. 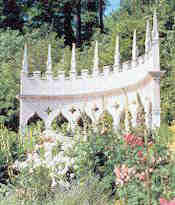 The Indian influence is seen in the garden and the drive goes over an Indian Bridge with statues of bulls. Water features include a temple pool, Canal, stream bordered with bog loving plants. Fine trees include copper beeches, cedars, limes and yews with many unusual shrubs. In Autumn the tints are marvellous. Sezincote House (designed by Samuel Pepys Cockerell 1754–1827) was the inspiration for the famous Brighton Pavillion and was immortalised by John Betjeman in his autobiographical collection of poems "Summoned by Bells". Snowshill Manor is full to the brim of Charles Wade's collection from all over the world. The charming cottage style garden is set in 2.5 acres and is organically run. The garden has stunning views. Located at the village of Snowshill, 5 minutes by car from Broadway. For further information about - Charles Wade. 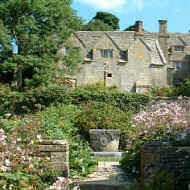 The garden at Snowshill Manor was designed by M.H. Baillie Scott - a leading figure in the Arts and Crafts movement. 30 acres of lake, landscaping, and walled garden loved by laymen and plantsmen alike. Spetchley Park and Gardens are owned by the Berkeley family - the owners of Berkeley Castle. The House is not open to the public. In spring the banks of the lake are covered in daffodils and makes a wonderful sight. Located 3 miles east of Worcester on the A44 towards Evesham. Fodor's Great Britain Guide describes Stanway House - 'as perfect and pretty a Cotswold manor house as anyone is likely to see'. The house and gardens are a jewel surrounded by beautiful landscaped parkland and villages. There are two wonderful water features. Located near the village of Stanton. Sudeley Castle is set against the backdrop of the Cotswold hills and is steeped in history. Surrounding the castle are ten enchanting gardens and a wild flower walk to the tithe barn and heritage seed library with it's rare vegetables. Located at Winchcombe. 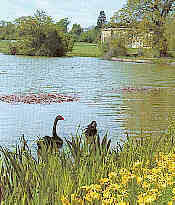 www.spetchleygardens.co.uk Open August and September. gardens.html Open April to end of October. One of the most attractive features of the Manor is its grounds. 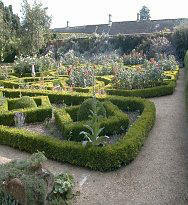 To the east is the knot-garden, in the centre of which has been placed a sundial dating from 1579. Around this, lavender flourishes and many thousands of bags of Sulgrave lavender have crossed the Atlantic since the house was opened. On the terrace beneath this wall fly the Union Jack and the Stars and Stripes. The Herb Society who maintain the National Herb Garden and their Chelsea prize winning exhibit within the grounds. 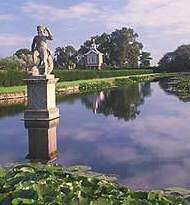 No longer open to the public A fully restored Dutch style formal water garden dating originally from 1700. The garden includes topiary, yew hedges, a 400 year old evergreen oak and a relaxing tranquil atmosphere. Located at Westbury-on-Severn approx. 9 miles from Gloucester. 122/the_manor_gardens_today.asp Open March to October. 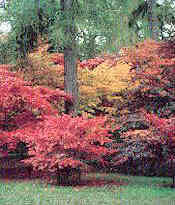 Westonbirt National Arboretum contains one of the finest collection of trees and shrubs in Europe. There are 18000 of them spread throughout 600 acres of glorious Cotswold countryside. Also displays of rhododendrons, azaleas, magnolias, and the wild flowers of silk wood. 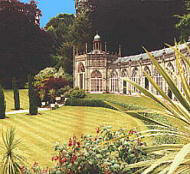 Located at the village of Westonbirt, not far from Tetbury. Set in the beautiful Cotswolds, Miserden Estate has a proud history stretching back many hundreds of years. The 17th centry Manor House stands high overlooking the Golden Valley and is at the heart of a thriving Estate and Village Community. Located close to Cirencester, Gloucester, Cheltenham and Stroud, the Estate is well placed to provide a tranquil haven within minutes of local centres. Croome was 'Capability' Brown's first complete landscape, making his reputation and establishing a new style of garden design which became universally adopted over the next 50 years. The elegant park buildings and other structures are mostly by Robert Adam and James Wyatt. There are miles of walks through lakeside gardens, shrubberies and parkland.